Mountain Lion (aka OS X 10.8) is now available, and thanks to the Mac App Store, the process of purchasing, obtaining, and installing Mac OS X is faster and easier than ever. Like Lion, getting this version of the OS no longer involves driving to the nearest Apple Store or retailer, or waiting for the FedEx truck to arrive. But the better shape your Mac is in before you install Mountain Lion, the better experience you’ll have during and after the upgrade. Let Macworld Senior Editor Dan Frakes help you through the installation process, from the simple to the outrageously complex. 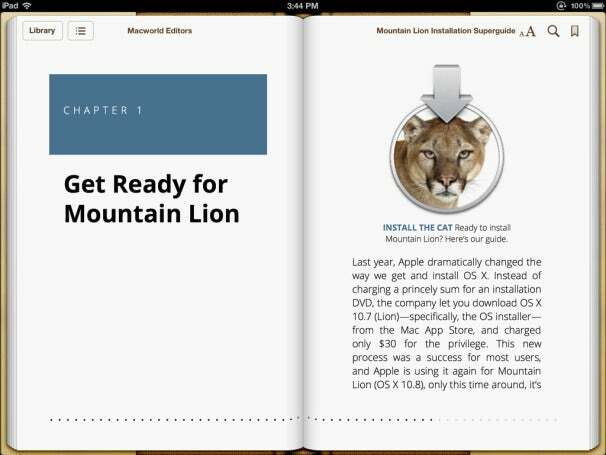 Allow us to introduce the Mountain Lion Installation Guide, available now on the iBookstore, Amazon Kindle store, Nook Bookstore, and as a PDF and a PDF/ePub/MOBI bundle for you to read anywhere you like. In this book, we cover the requirements for running Apple's newest OS; the things you should do to get your Mac ready; and the purchase and download processes. We walk you through the actual installation; recommend some post-install tasks; discuss some upgrade challenges; and help you decide if a "clean install" is for you. We've also got instructions for creating a bootable Mountain Lion installer disc or drive, as well as for installing Mountain Lion over Snow Leopard (Mac OS X 10.6). You can download our new Installation Guide right away on an iOS device, Kindle, or Nook by purchasing it from Apple’s iBookstore, from Amazon's Kindle store, or Barnes and Noble's Nook Bookstore for $1.99. It's also available as a PDF for the same price. If you want to have a format for every occasion, check out our $2.99 bundle, which includes the book in PDF, iBooks, and Kindle formats. 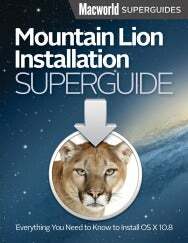 If you're interested, you can also purchase our Total Mountain Lion Superguide. And if you’re looking for more help with OS X, iOS, and all things Apple, make sure to check out our other Superguides, including our Mac Gems Superguide, iPhone Photography Superguide, iPad Superguide, and iPhone 4S Superguide.